There are several artists under the name of Harmony: 1. A power metal band from Sweden 2. A female rapper 3. A pop band from the Netherlands 4. A rock band from Australia 5. A heavy metal band from Chile 6. A video game remix artist 7.Egyptian Christian Band. 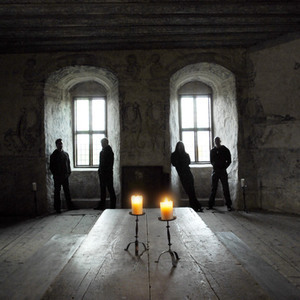 1) Harmony is a Swedish Christian progressive power metal band. The group formed in 2000 and released their debut album Dreaming Awake in 2003. Bassist Andreas Olsson who is also a member of Narnia, Divinefire, and Rob Rock joined the group after receiving a recommendation from Narnia and Divinefire frontman Christian Rivel. 1) Harmony is a Swedish Christian progressive power metal band. The group formed in 2000 and released their debut album Dreaming Awake in 2003. Bassist Andreas Olsson who is also a member of Narnia, Divinefire, and Rob Rock joined the group after receiving a recommendation from Narnia and Divinefire frontman Christian Rivel. They are known for their highly melodic vocals, progressive guitar riffs, and neo-classical guitar solos. 4) Harmony is a rock band from Australia consisting of members from mclusky, The Nation Blue and Remake Remodel. 7) As They Mentioned Themselves " A group of friends who thought of releasing an album of Christian praises and songs using Vocal Harmony and Piano and that's it"